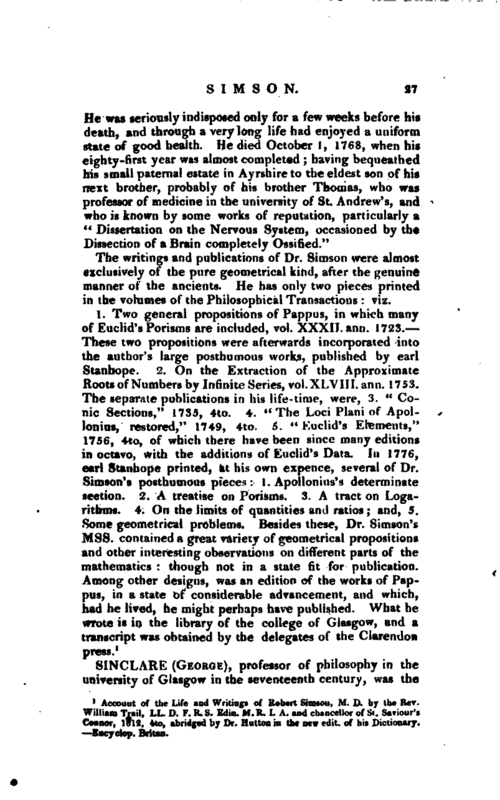 , professor of philosophy in the university of Glasgow in the seventeenth century, was the | author of several works on mathematical and physical subjects. He was dismissed from his professorship soon after the restoration, on account of his principles, being a strict adherent to the presbyterian form of church government. 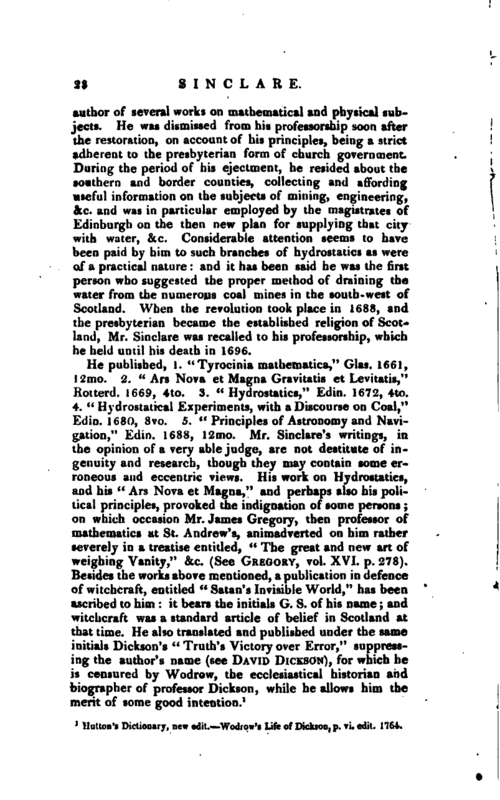 During the period of his ejectment, he resided about the soutnern and border counties, collecting and affording useful information on the subjects of mining, engineering, &c. and was in particular employed by tue magistrates of Edinburgh on the then new plan for supplying that city with water, &c. Considerable attention seems to have been paid by him to such branches of hydrostatics as were of a practical nature: and it has been said he was the first person who suggested the proper method of draining the water from the numerous coal mines in the south-west of Scotland. When the revolution took place in 1688, and the presbyterian became the established religion of Scotland, Mr. Sinclare was recalled to his professorship, which he held until his death in 1696. Hutton’s Dictionary, new edit. 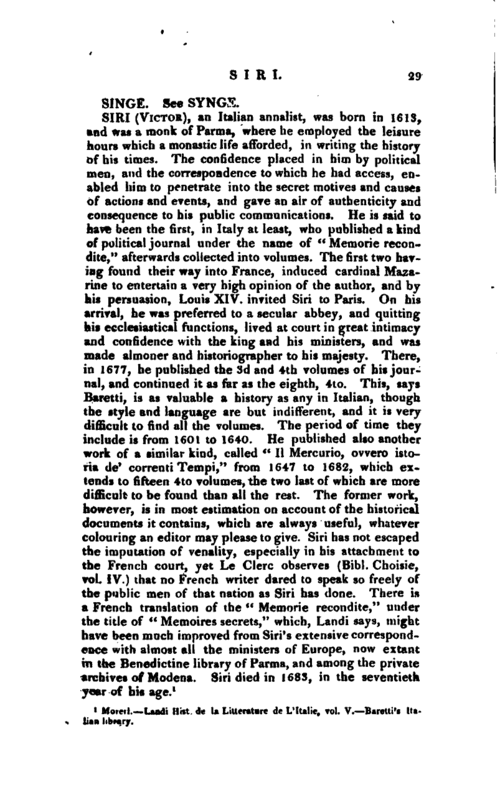 Wodrow’s Life of Dickson, p. vi. edit, 1764.